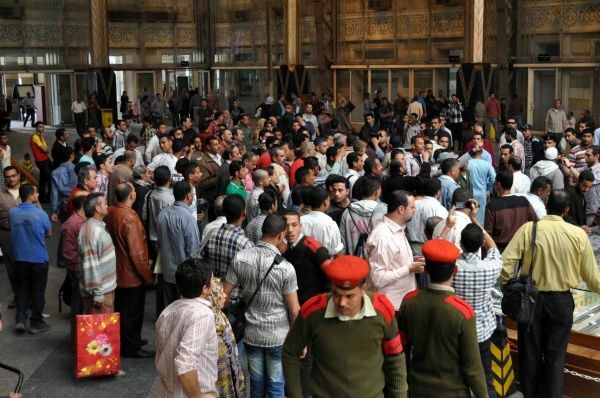 A number of train services began operating out of Cairo's Ramses station again on 22 October, following a 10-week stoppage ordered by the Egyptian interior ministry over security concerns. About 28 train routes to the north of the country resumed from the 159-year old station however services to the south remain out of order. Electronic ticket reservations have also yet to resume. There is a heavy police presence at the reopened station and commuters are now required to pass through metal detectors and have their bags and luggage x-rayed. The station's closure had been in place since 14 August, forcing many commuters to pay exorbitant fares on cramped minibuses instead. The closure was linked to the violence and political instability following the ousting of the former president Mohammad Morsi in July. The National Railway Authority said that halting the train service has incurred it losses of 272 million Egyptian pounds (almost $40 million). Egypt's railway service transports around 500 million passengers annually (1.4 million per day) at full capacity, according to the railway authority's website.